Fuel your projects with expertise from Alignex's engineering team. Get the expertise you need to optimize your technology investments. Every day, companies set aggressive goals to establish or maintain leadership in their industries. To meet objectives such as increasing revenues, shortening process times and reducing costs, careful consideration must be given to how projects are completed and what technologies and processes are used. Alignex has devised unique consulting services to address your particular needs. From time-to-time users need assistance on specific design or engineering challenges. This may include tackling a new project requiring software knowledge that either the team is not trained on or have not yet used. A features/functions session or assistance may be required with technique. We have skilled specialists with diverse industry expertise available to help your team as needed. Typically, mentoring is project-based and done on a 1-on-1 basis at the customer site. When data is translated between various 3D CAD systems, information can be lost, surfaces may be missing, drawings are no longer associated, or the source data could just be a bad model. Our data translation clean-up services include making manifold solids out of open models, cleaning up surface geometry, making associative drawings, and many other tasks. Sometimes our clients need immediate, personal assistance to resolve a technical matter. Although we offer optional web-based support to properly identify technical problems on customer's workstations and servers, sometimes being on-site is the most effective means to troubleshoot. 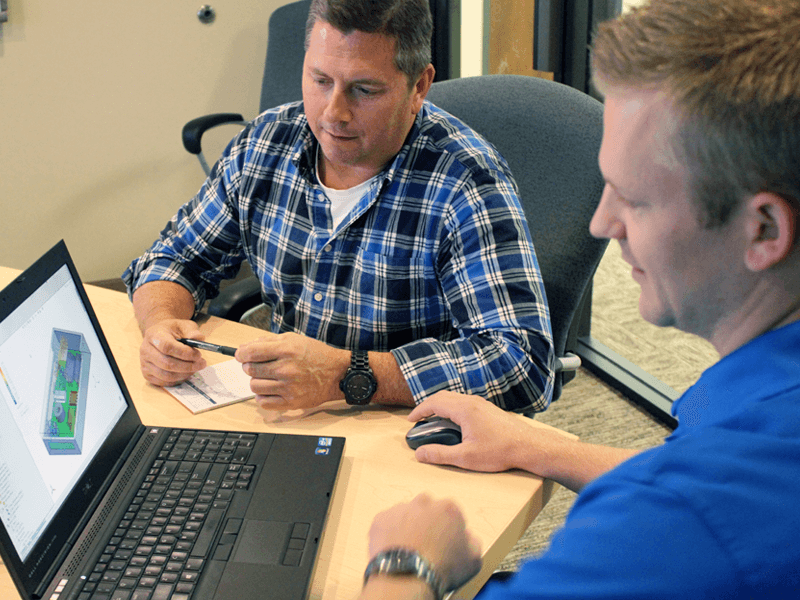 For companies with larger and more complex 3D and data management installations, we often take the core internal support team off-site prior to major software upgrades. The aim of this retreat is to train them on advanced support topics, while jointly testing existing customizations in the new release. Our last Admin Retreat took place last winter. The team included 2 of our Application Engineers and 4 of our clients CAD Admin personnel. This long-weekend event was held in Duluth from a Friday to a Sunday and at its end, the Admin training, testing and planning for a 70-seat SolidWorks/PDM upgrade was complete. Alignex helps customers test new major releases to ensure previous customizations still work correctly, performance is not adversely impacted, new functionality is deployed correctly, data migrates properly, etc. For larger customers we generally arrange an "Upgrade Blitz". Essentially, we provide labor for after-hours or weekend server and workstation upgrades for new software releases after proper testing has been completed.